Control a flying arsonal- and destoy your enemies in this dangerously addictive game... Helicopter Simulator is a essentially a "capture the flag" game, in 1 player you must collect all three flags (using whatever means). In two player mode either you destroy your enemy or capture their flag to win. 1 player- mouse to navigate, click to shoot( if available). player two arrow keys to navigate, space to shoot. In one player mode you can choose one of three helicopters with varying weapons. 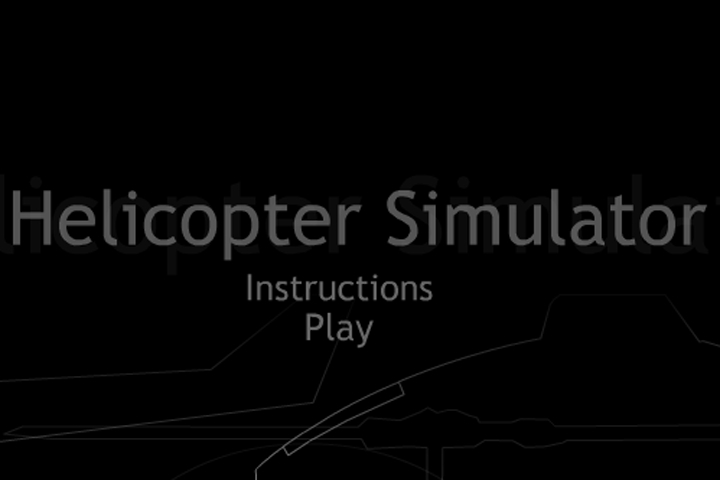 In two player mode you are assigned one helicopter. In both modes winning the game usually requires the death of you opponent's. Enjoy! If you want to play Helicopter Simulator games online you have come to the right place! GamesLoon adds new Helicopter Simulator games every week. This is your game portal where you can find the biggest collection of free Helicopter Simulator games online. Do not forget to rate our Helicopter Simulator free online games while playing!